Jonathan Johnson is the executive director of the Hawai‘i State Foundation on Culture & the Arts, the seventh person to hold the post in the nearly 50-year history of state arts agency. Jonathan Johnson was appointed executive director of the Hawaiʻi State Foundation on Culture and the Arts (SFCA) in 2014. 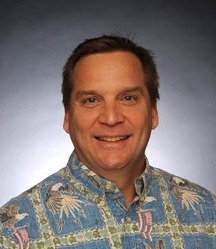 He has been with the SFCA since 1988, holding many positions within the agency including program manager, project manager, conservation coordinator and registrar for the Art in Public Places Program and director of the Hawai`i State Art Museum (HiSAM). 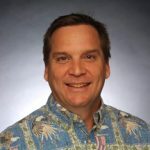 Johnson grew up in Honolulu, was in public education from K-12, graduated from Kalani High School and attended California Lutheran University where he earned a B.A. degree in design, with an emphasis on business administration. He developed relationships with government, the arts and architecture communities as he oversaw the creation and installation of monumental art projects throughout the islands. Over the course of his SFCA career, Johnson has managed over one hundred-thirty of the commissioned works of art projects seen in state office buildings, libraries, public schools, university campuses, the convention center, state hospitals and airports. He has worked on conservation projects, curated exhibitions at the Hawaiʻi State Art Museum, oversaw the Artist-in-Residence Programs at four dozen Hawai`i public schools, was the project lead on the HiSAM sculpture garden and initiated the HiSAM ArtBento museum education program. Johnson was also appointed the chairman of the Hawaiʻi Commemorative Quarter Advisory Commission which guided the design process representing Hawai`i in the Fifty States Quarter Program.